DS Smith Packaging consists of 33 sites located throughout the UK. The Packaging Division employs circa 3100 people and together with DS Smith Plc’s paper division, the combined turnover is approximately £750 million. Their customers represent an enormous spread of organisations, from the world’s largest companies to small, local and entrepreneurial businesses. 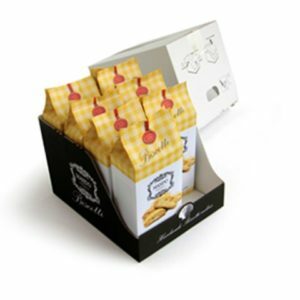 Although customer requirements vary greatly, DS Smith have a common approach to thinking through packaging issues. They aim to develop packaging which ‘creates value’ by helping their customers to increase profits by taking out cost wherever possible and by improving both the performance and appearance of the packaging. DS Smith manufacture and supply packaging products to world-class standards of efficiency and reliability. Add to this a continuous search for new and better ways of doing things and you have a complete description of their approach. DS Smith Packaging formed partly through organic growth and partly through acquisition. The resulting organisation was the fusion of many independent businesses, cultures and systems. A major feature of the organisation was the localised nature of each of the packaging plants, each of which operated as an independent business often with overlapping sales areas with other DS Smith Packaging plants. At the same time, the demand for packaging has been changing towards more ‘Shelf-Ready’ packaging, which is presented on the supermarket shelf with the product inside it. 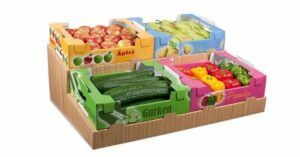 This type of packaging is more complex and has different production requirements to the standard cardboard box we are familiar with. DS Smith Packaging therefore embarked on a Sales and Operations Planning (S&OP) Project to unify the sites into a single view of supply and demand enabling the company to make coordinated resource and expenditure decisions that reflect the changing needs of their customers. DS Smith Packaging started the S&OP project in 2007. This visionary and strategically important initiative brought together the major packaging sites into a single coordinated process which considered Supply and Demand at a board level. To underpin the process, the company selected FuturMaster for their flexibility, expertise and for a rapid return on investment. A particularly important aspect of the solution was its ability to automatically classify the product range and adapt the forecasting methods accordingly. The system was completely automated apart from certain items that required attention by the sales force because they were of particular importance to the business. The high level of automation was important due to the thousands of SKU’s that were being forecasted and the erratic nature of corrugated demand patterns. In addition, the sales force had previously not been engaged in the forecasting process, so it was essential that the system focused their attention on the major lines that required their input. Using FuturMaster’s S&OP solution means DS Smith Packaging’s business is more integrated than ever. DS Smith Packaging can now make quicker strategic decisions between its various manufacturing sites. The Sales & Operations Planning is now firmly installed in the decision making process of the company.